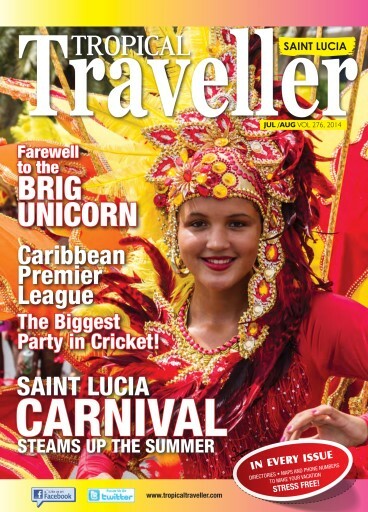 A heart felt farewell to the Brig Unicorn, Caribbean Premier League - "The Biggest Party in Sport" and Saint Lucia Carnival Steams up the Summer. These an more in this edition of Tropical Traveller Magazine. 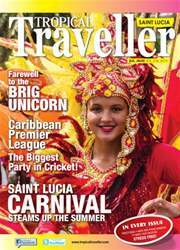 Also in this and every issue Directories, Maps and Phone Numbers to make your Saint Lucia vacation STRESS FREE!